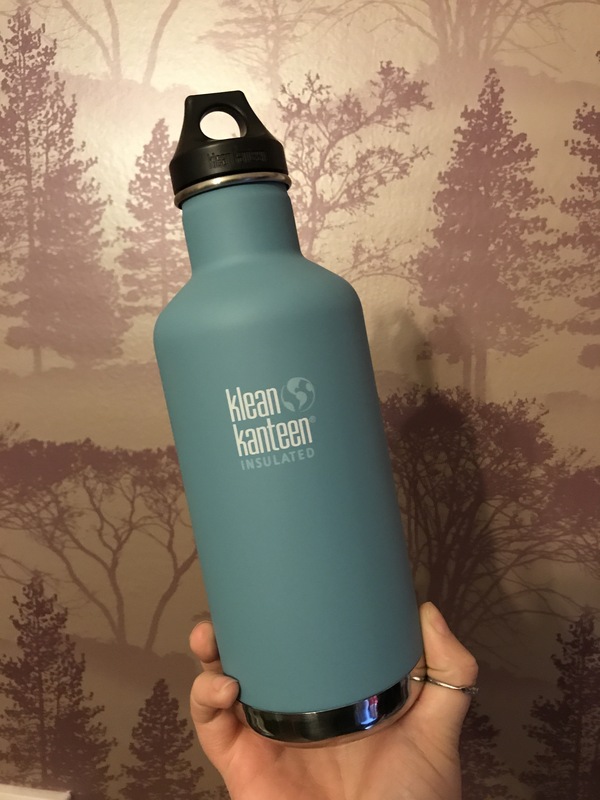 I started off with the Kid Kanteen 12oz/355ml for my 3 boys. The elder two have sports caps and the youngest has the sippy. They are a great size, don’t weigh too much when full and easy to clean. We have never had any issues with leaks. The sports lids came with handy dust caps, which is fab because they get thrown about in grubby school bags or the playground ALOT! One draw back about these I will add is that they are difficult to open. My eldest struggles and he’s pretty strong, my middlest has no chance and even their teachers struggle. I think Christmas presents this year may include bigger bottles for the older two! The sippy cup has been extensively tested by my tornado Toddler! It has been launched across every room in my house, from all kinds of heights, the dog has run off with it, it’s been dropped down the stairs and apart from a couple of “charming” dents there’s no actual damage to speak of. There is no way a plastic bottle would have held up to that kind of trauma! I love that by removing the valve inside the lid you can make it free flow. Very simple and very clever. I’ve found the 12oz to be a good size for school as they get refilled and consequently rinsed more often. 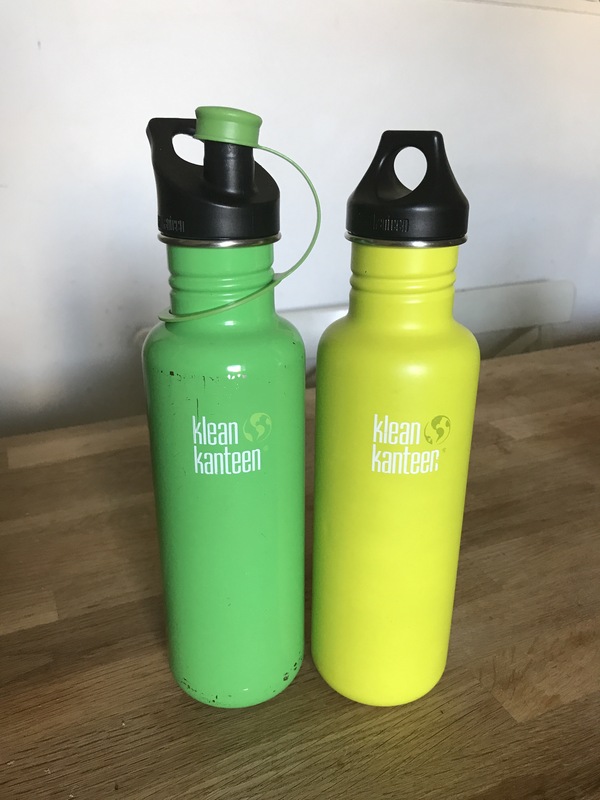 My husband and I also have Klean Kanteen classic 27oz/800ml bottles which we use for water when out and about. They’re not too cumbersome in size and perfect for staying hydrated on the go. 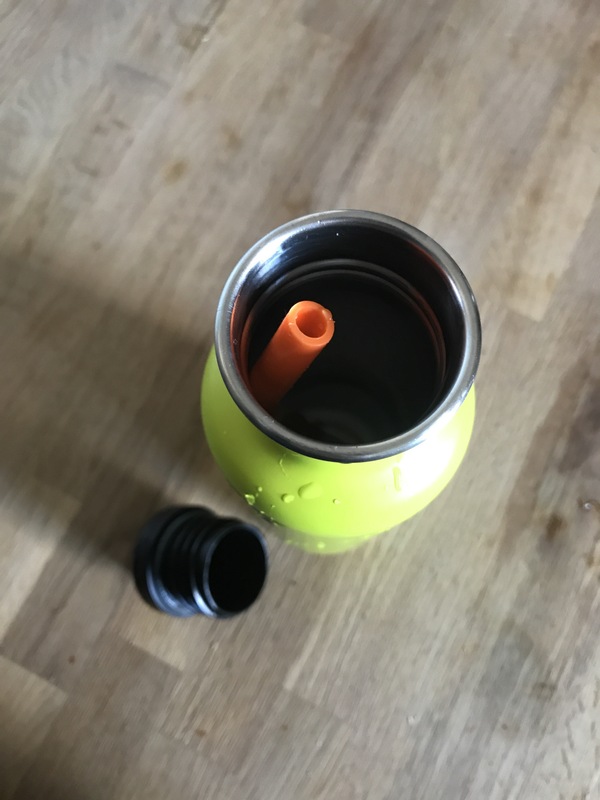 They conveniently fit the straws inside too, so when we use the loop cap we can just pull up the straw and drink instead of tipping the bottle. Very handy in the car when passing around to the boys in the back! 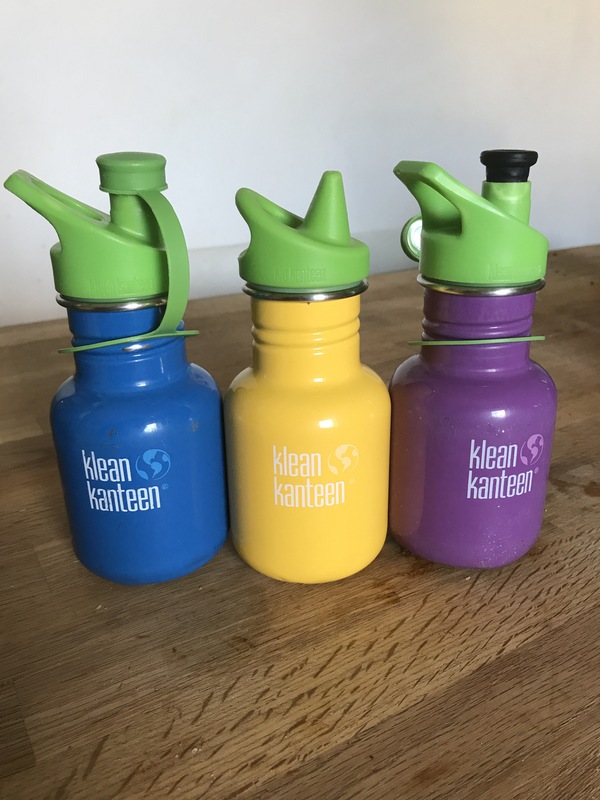 I particularly like that the lids on our bottles and the kids are interchangeable and individually replaceable should anything happen to one of them I don’t need to replace the entire bottle. Also handy that we can use the sports cap or a loop cap lid. It offers choice and flexibility for different situations. ​ Moving onto the insulated KK range. My husband and I used to drink two disappointing take-away coffees out of an arguably dangerous plastic cup that would often melt before you finished the contents at the boy’s swimming lessons each week. I bought a 20oz Wide Vacuum Insulated Cafe style KK for us to share and never looked back. I actually ordered another for myself (16oz) as it turned out my husband appears to be entirely fuelled by coffee at the weekend and I simply wasn’t getting a look in! Pictured below from left to right is the 20oz/800ml, 16oz/473ml and my Mum’s 12oz/355ml. Did I mention these make perfect gifts?! You can also get a loop cap as well as the cafe style lid. 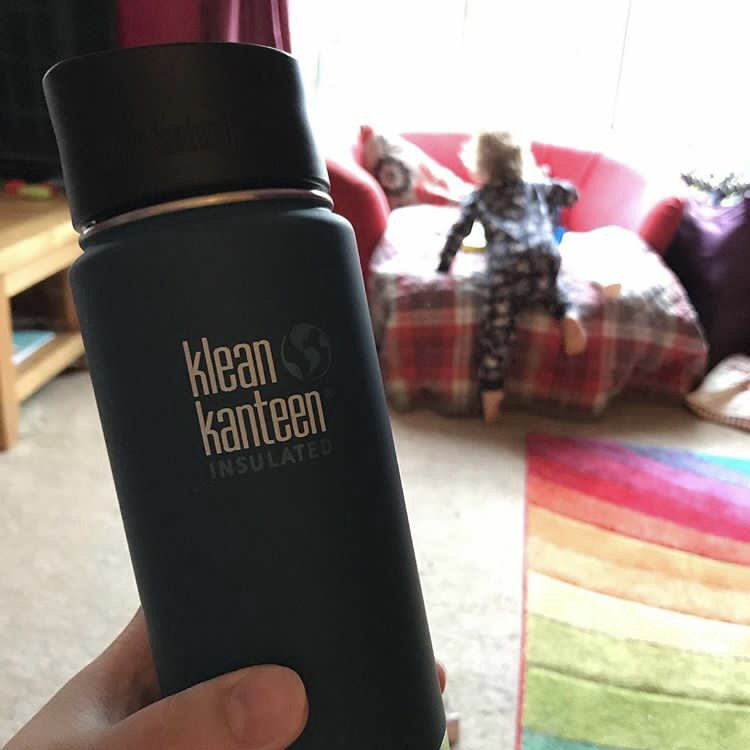 My geek of a husband sat and worked out the cost; in just over 6 months our 2 Insulated Klean Kanteens had paid for themselves and we were drinking far more enjoyable freshly ground coffee each week to the envy of all the other parents in the waiting room. 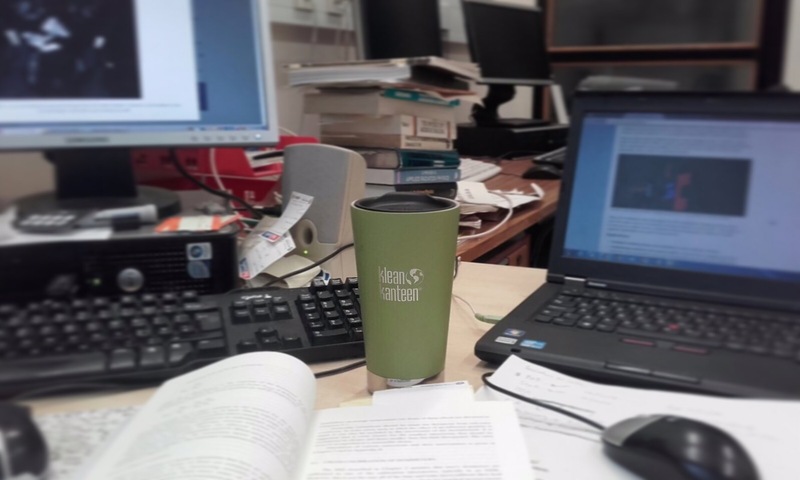 We also saved 2 plastic cups a week from going straight to landfill! It doesn’t leak, even when used as a bowling ball for skittles and it keeps contents hot for 6-8 hours! More often than not I’ll come back to my “morning coffee” at lunchtime and it’s still too hot to drink! During the summer holidays, I stashed mine full with ice lollies and took it to the park with the boys. I can happily confirm it keep them frozen for 3 hours and saved me a fortune when the ice cream van pulled up! Another type of KK in the Insulated Range is the Tumbler. This comes in a few sizes and has a press fit lid, this isn’t leak proof but will prevent major spills. 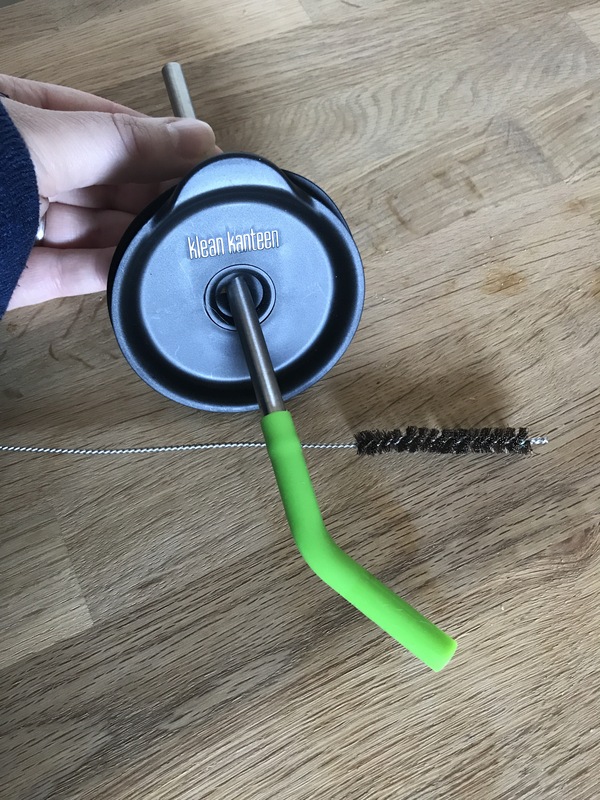 There is also a lid, straw and cleaning brush pack so you can enjoy a chilled smoothie or even a cocktail in the warmer months! Mark works in a hospital and is often called away from his desk in a hurry. There is nothing more depressing than coming back to a cold peppermint tea on a wet Tuesday afternoon in East coast Scotland. 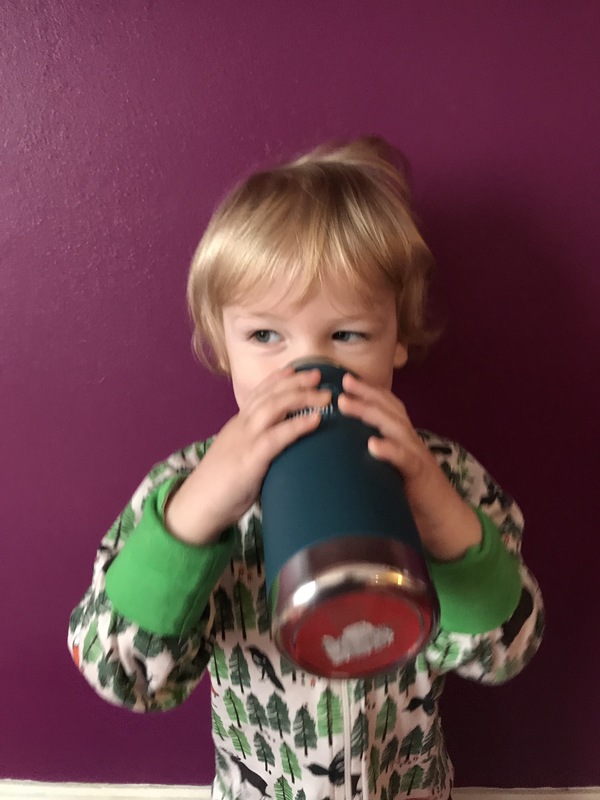 I bought him the 16oz Insulated Tumbler for his birthday and he stopped moaning the very next day! It does the job and he even takes it to the cafe on site for meetings where it has the benefit of cheekily getting him an extra large coffee because the staff just fill it to the brim! 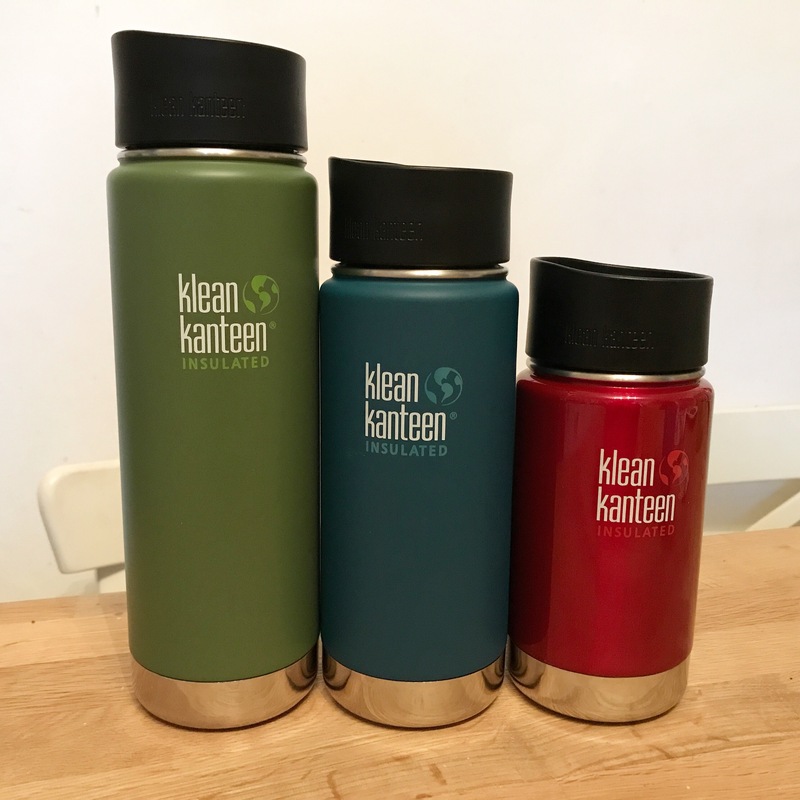 Our most recent acquisition was the big 32oz/946ml Insulated Klean Kanteen. It’s giant and keeps contents hot for at least 12 hours. It comes with a loop cap and it is perfect for long days out where a hot drink is never guaranteed. Good to take with us for a hike, a trip to the allotment or to share coffee with parents on the rugby pitch watching the kids in the rain. My friend even filled hers with pre-cooked sausages and managed to fit 20 in for a picnic. Genius – hot sausage butties for everyone! All our bottles get rinsed or washed daily but once a week I soak all the lids good and proper in the sink for an hour or two. I do wish that the sports caps came apart as easily as the cafe lids. I always give them a thorough going over with the wee cleaning brush and I usually add a bit of Violets bleach just to make sure there are no nasties. I’ve been using some of our KKs now for nearly 2 years and never had an issue with mould. 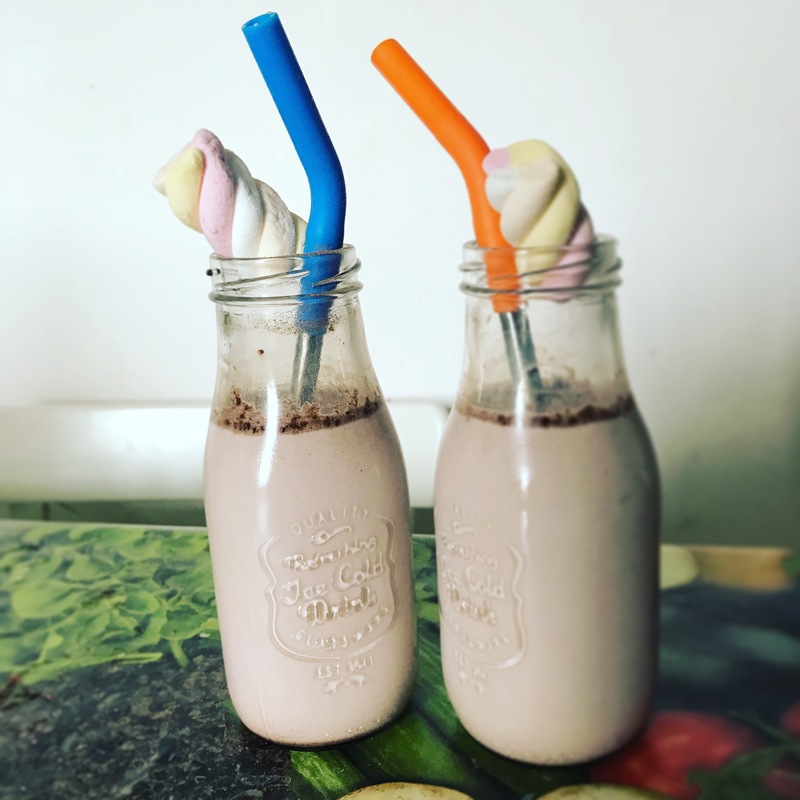 Ooh and don’t forget to get some straws, they are chew proof, come in gorgeous colours, are supplied with their own tiny cleaning brush and perfect for milkshakes!!! What a good review Jo …… I use my 2 all the time with trips up and down the country, saved myself quite a few quid and landfill also hasn’t benefited.